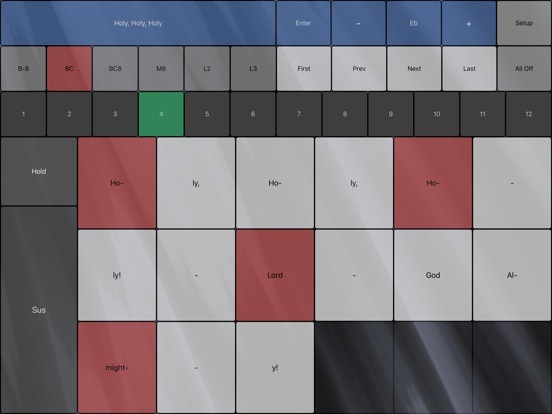 CarolPlayMidi enables you to perform favorite Christmas carols or classic hymns in four-part harmony, most of the time playing with just two fingers. You can play expressively, controlling tempo, volume, and articulation. 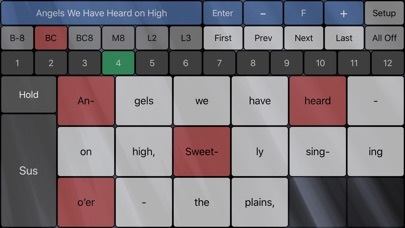 Note: CarolPlayMidi is a "midi controller." It works by sending chord and note information to a synthesizer app. The synthesizer app then creates the sound. 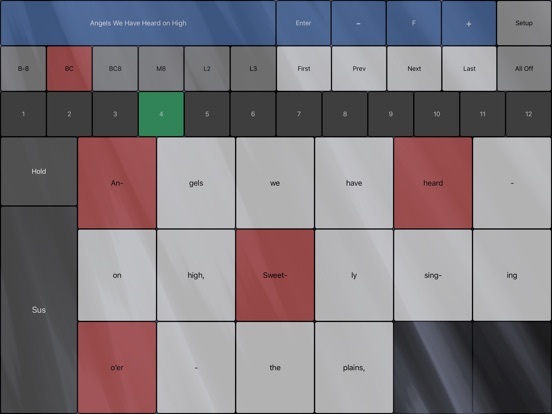 There are many synthesizer apps which can be used to create the sound. 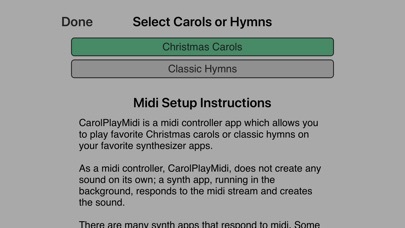 Setup instructions are found on the CarolPlayMidi "Setup" page, and at the support website. Thirty-seven hymns have been added. There are now 85 hymns and 30 Christmas carols. A second classical piece has been added: Prelude and Fugue in C Major BWV553.